For this card I started by stamping the cute bear which apparently can't decide which pie should he eat :) using Spectrum Noir Alcohol markers. Next I die cut the front panel and ink it using Distress ink , as well as with the little hill. Finally I adhered everything down using foam tape and for the sequins I used glossy accents! 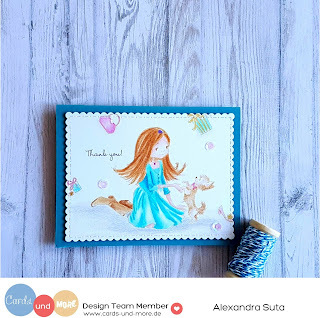 For this card I started by stamping the images from the stamp set using Distress ink Antique linen , I wanted to create a no line coloring using Polychromos pencils. Also didn't wanted my scene to be plain and I also stamped additional images from the set in order to create a background . Next I colored the images starting by using a light hand and slowly building the colors. I am still new to color pencils and really need to practice more but I like how this card turned out and I hope you like it too . And since this card is pretty much a one layer card I added some sequins and adhered the panel to the card base using foam tape for a bit of dimension ! 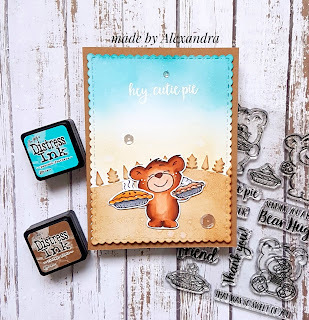 DT Ale here today sharing a fun way to you your stamps and dies! When I was little I was always fascinated by pop up books, I though they were magical . 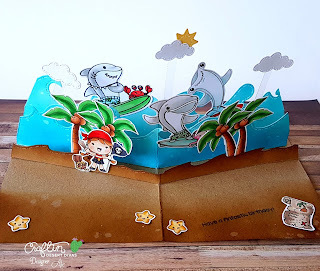 So what I am sharing today is an easy way to create your own pop up book using stamps and dies. To start my card I stamped and colored all the images I used and then die cut all the elements I needed for my scene! Now to create the actual pop up book I started by inking the inside of a kraft card base using Distress ink to create the idea of sand , the I adhered the borders that I already die cut . Next I added the images using glue dots and also adhered the clouds and the sun using acetate to make them look like they are in the sky . And so my pop up book was done. This was just a page on my book, I will sure make some more . 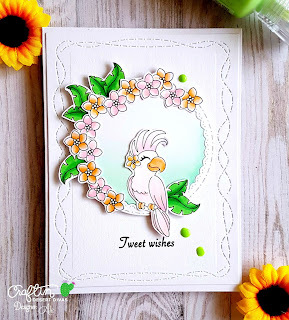 For this card I started by stamping the gorgeous bird and the flowers and leaves from the stamp set and coloring them using Spectrum Noir Alcohol Markers. Last step was to ink the inside part of the circle using Distress inks and to adhere everything down using a combination between foam tape and glue. 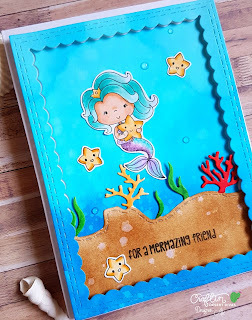 Stamped the sentiment from the same stamp set and added some Nuvo Drops dots to finish the card. For this card I started by creating a night sky using water color and masking just a portion of my background. 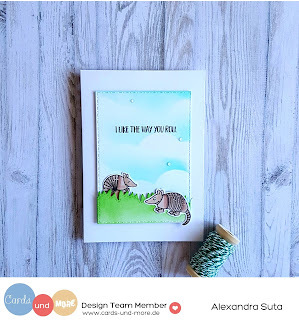 Next I stamped the bunny from Snuggle bunnies stamp set from MFT and then I masked him and stamped the bear from the same stamp set. I colored them using Spectrum Noir Alcohol Markers and fussy cut the image. 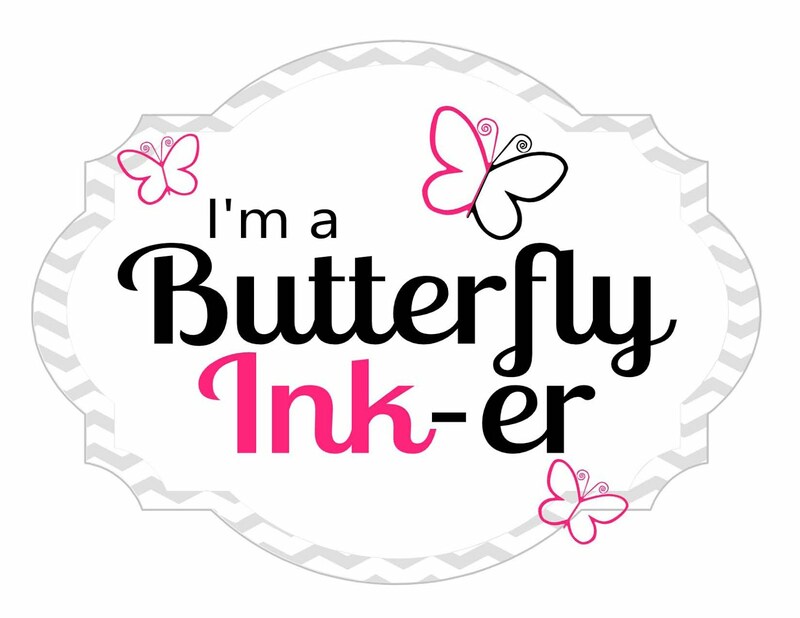 After the background was dried I peel off the masking tape and on a piece of black cardstock I stamped the sentiment using Versa Mark and embossed it using Wow white embossing powder. Adhered the sentiment and the critters using foam tape and added some Pretty pink posh sequins to finish my card ! The sky is made using a stencil and Cracked pistachio distress ink and just ink blended until I got the result I wanted. Next I start coloring those cute critters from the Llama tell you stamp set using Spectrum Noir Alcohol Markers and adhered them to the card. For the main panel and grass border I used foam tape and for the critters I used liquid glue . To finish of my card I stamped the sentiment and also added some Nuvo drops . For this card I started by inking the background using Distress ink and then die cut the heart using Abstract Heart die from MFT , and also die cut the heart from glitter cardstock. Next I started inlaying the pieces of cardstock back into place . 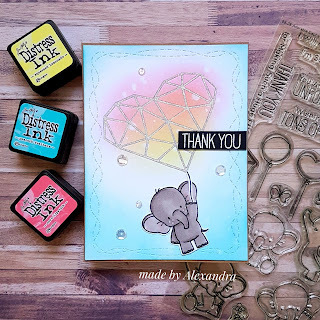 Now I wanted my heart to be a type of balloon so the cute elephant from Adorable elephants stamp set can hang from balloon :) . For coloring the elephant I used Spectrum Noir Alcohol Markers. For the sentiment I used Thank you from the same stamp set and white emboss it on black cardstock, added some Pretty Pink Posh sequins and my card was done!